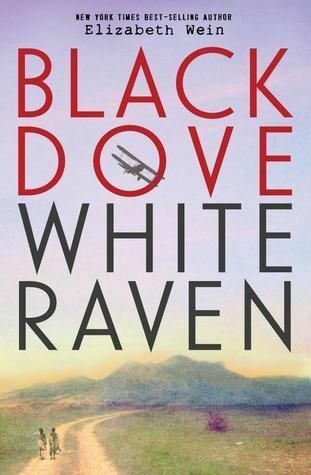 Black Dove, White Raven is the latest young adult fiction novel by Elizabeth Wein. Once again Wein grips us with the story of two young people facing challenging circumstances. After a stunt flying accident, Emilia and Teo become more than friends; they become sister and brother. Teo’s mom dies in the plane accident and Rhoda (Emilia’s mom) takes him as her adopted son. In the 1930s such an act of love was not widely accepted as Emilia is white and Teo is black. To fulfill the dream of Teo’s mother, Rhoda brings Emilia and Teo to Ethiopia, the home of Teo’s deceased father. Here there was hope that the color of her children’s skin would not be an issue for their family. Emilia and Teo both come to love the land of Ethiopia, a beautiful, peaceful country. Things quickly change when Italy threatens war. The war becomes personal for Emilia and Teo as they are both unwillingly drawn into the conflict. What does this war mean for their lives in Ethiopia? Will their family be torn apart? What will Teo’s Ethiopian heritage mean for his future? I must make a confession. I attempted to read Black Dove, White Raven several times. I would read a page or two and put it to the side. For some reason the story was not engaging me or capturing my interest. Then I told myself to trust the author. Wein had weaved a beautiful, bittersweet story in Code Name: Verity and Rose Under Fire. Their stories were complete so I needed to shift my mind to a new story. As I picked up the book again, I found myself gently pulled into Emilia’s and Teo’s lives. This book leads you a bit slower with a gentle pull to the depths of Emilia and Teo. This slower paced pull flows beautifully with the the land of Ethiopia during this time period. Before you realize it, their story has gripped you. And not just their story but the Ethiopian people as well. In all my studies and readings in history, this war between Ethiopia and Italy in the 1930s had never been encountered. My view of Ethiopia has been challenged and broaden by Black Dove, White Raven. I definitely recommend adding this to your To Be Read pile or as a good addition for history readings for your teen. All three of my teens read Black Dove, White Raven (16, 15, & 13). My two daughters were familiar with Wein’s writings and agree that this is another well done book. My son’s reading of Black Dove was his first encounter with Wein’s writings and he was left speechless when he was done. Thank you Elizabeth Wein for another amazing read. Have your read Black Dove, White Raven? I’d love to hear your thoughts! This entry was posted in Book Reviews, Books, High School, Something to Share and tagged Books, history, literature, reading by sweetie. Bookmark the permalink.